To reach new applicants, schools must provide compelling content on their sites to get found and build relationships with prospective students. That’s exactly what inbound marketing does. At Innovative Marketing Resources, we’ve built our agency helping private schools, career training institutes, colleges, and universities increase applications, improve engagement with prospective students, and gain deep insight into the admissions funnel. To learn more about our experience in education marketing, check out our expert advice and client stories on our Inbound for Higher Ed Blog. 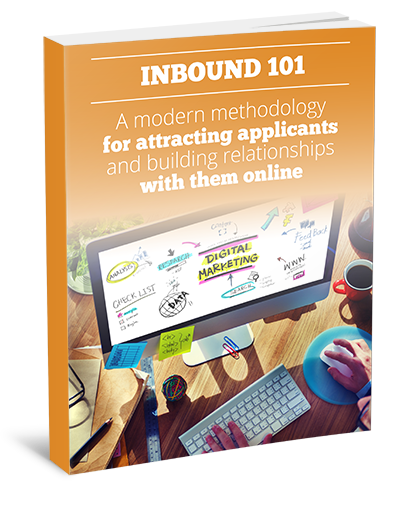 Inbound marketing works when you understand what your prospective applicants are looking for online and what content can help them. With every education client, we research their prospective applicants to create a content strategy that speaks to their wants, needs, questions, and concerns. Our inbound marketing strategy for schools is driven by valuable, shareable content students can find online – blog posts, checklists, guides, videos, virtual tours, you name it! We don’t think set-it-and-forget-it inbound marketing works. We’re constantly testing different topics, communication channels, and content formats. We aim to increase the overall quantity of leads, as well as the quality. If our efforts don’t generating more applications, it’s not a win. Learn more about our unique approach to inbound marketing for higher education. Fill out the form below and we’ll contact you for a free inbound marketing assessment. Your school’s current state of inbound readiness based on your responses to 5 key questions. Tweaks you can make to your website right now to increase visitors and inquiries. Feedback on your blogging and content efforts, with ideas for reaching a wider audience of qualified applicants. How your school can benefit from a custom-built inbound marketing strategy based on the Content Marketer’s Blueprint. The answers to any questions you might have about inbound marketing or working with our agency.